Here are a couple of photos and a video I took at the Women's March in Fresno. It was great to see so many people come together in support of women's rights. 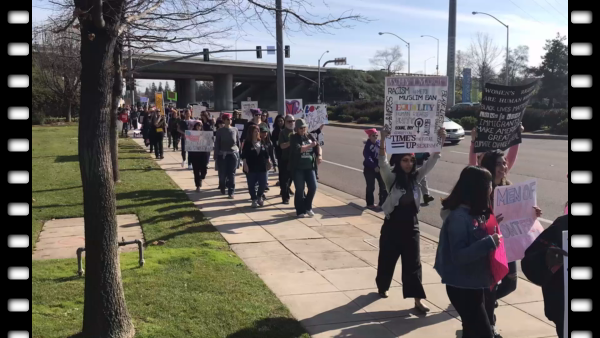 The rally and march were held near River Park in north Fresno. Participants were cheerful, it was a nice sunny day and I THANK THE ORGANIZERS for putting together such a nice event. I did not get an estimate of crowd size, but it was hundreds, maybe as many as one thousand people. There was a rally with a wide range of speakers and then a march to the perimeter of the largest shopping district in Fresno.